Whatever flooring you are looking for, come to Giant Carpet Flooring Centre in Barrie, ON for the highest quality in products and service. Installing new flooring is an exciting time. New flooring can change the whole feel of your home and give you that custom style and luxury that you are looking for. It is especially easy in our day and age, with such as wide variety of flooring styles and materials available. If you are looking for something comfortable and affordable, carpet is a great choice. Carpet provides almost endless options in durability, affordability, style, and more. If you are looking to carpet a high-traffic area, you can select a dense fibre material specially made to hold up to a lot of wear. 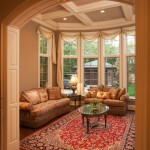 Or if your area is in a more formal, less-used setting, you can select a more delicate, lighter type of carpet. Carpet has something to offer for every need. Hardwood flooring has been a classic for centuries, providing beauty and warmth to your home. This flooring is also a durable, long-lasting option that can be refinished over time, allowing you to keep your hardwood floors for several decades. Laminate and vinyl flooring have become very popular recently for their affordability, ease of installation, and durability. Nowadays, you can find laminate and vinyl products that mimic many more expensive kinds of flooring. In particular, our luxury vinyl tile is made with such an authentic texture and design that many people have a hard time telling that it’s not actually stone or ceramic. Considering their ease of installation, laminate and vinyl are great options. At Giant Carpet Flooring Centre, we offer high-quality flooring to residents of Barrie, Alliston, Angus, Newmarket, Cookstown, Innisfil, Bradford, Midland, Wasaga Beach, Collingwood, Muskoka, Gravenhurst, Bracebridge, Orillia, Thornton, Everett, and all of Simcoe County, Ontario.